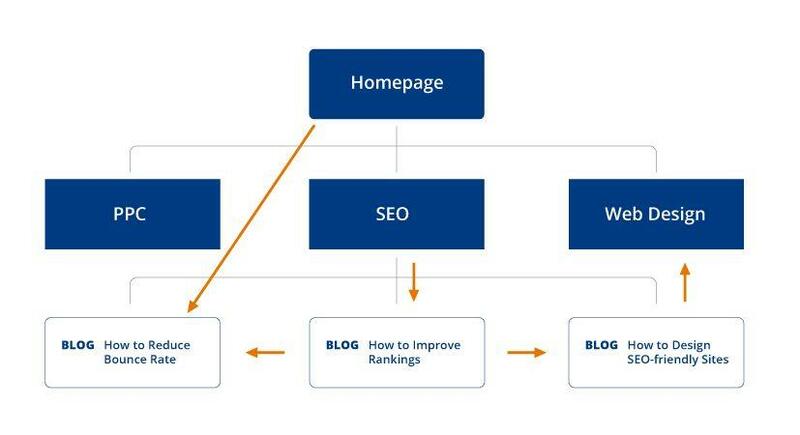 We have published many posts on Increasing Search Engine Rankings in the past. Posts about SEO Tools, Online Store SEO and SEO for Bloggers. But, nothing is constant in Search Engine Optimization! And the next day you are not even on the first page! 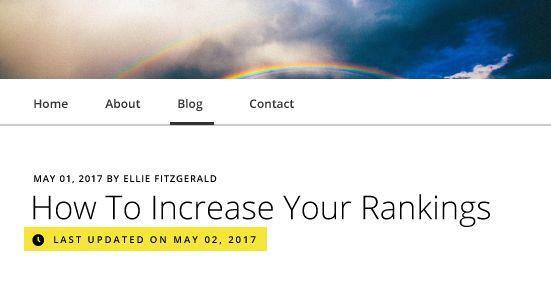 21 tips to increase your search engine rankings NOW. These 21 tips are the core of the SEO methodology that we recommend and implement for the clients of our SEO agency partners. I’ve compiled all the best practices to provide you with actionable steps to start ranking websites. All your SEO decisions come from having the right keywords – from the topics you’ll be writing in your content strategy, to the pages you’ll be optimizing. Keyword research is about finding the balance between relevance and search volume. It’s important to choose keywords that are relevant to your target market, as well as keywords with enough traction and gets a significant amount of queries. These are your low hanging fruit and the ones that make up your bucket list of target keywords. Your most important tools when doing keyword research are Google’s Keyword Planner, KW Finder, and Ahrefs. The first thing you need to do is see is determine the top performing pages of the website. Ahrefs provides you a list of your top performing pages, as well as keywords that are ranking for those pages. This is where critical thinking comes into play. 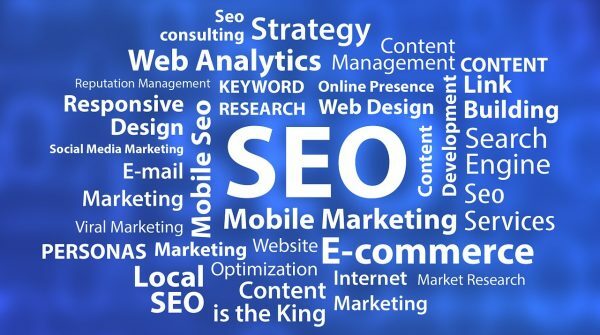 Most of the keywords that appear there might not be relevant to the website, so you need to cherry pick the ones that are relevant and have a high search volume. Add these to your bucket of keywords, then highlight the ones that you want to rank for the most. The next thing you want to do is build your keyword list. That’s where Google Keyword Planner and KW Finder becomes handy tools. The process is the same as how you choose your initial keyword list—go to Google Keyword Planner and plug in your keyword to see other keyword suggestions that you can add to your list. One of the struggles in ranking a website is writing a compelling headline – one that has the right keywords and resonates with visitors. Eight out of 10 people will read a headline, but only two will actually proceed past the headline . How do you compromise a read-worthy headline and a rank-building headline? Start with a working title: You don’t need to finalize your headline when you start writing. A working title will suffice. This can be as straightforward as possible and include your keywords, so you can determine the best way to present what the page is about. If it sounds off, don’t force it : Keywords are necessary to your headlines to make the page rank higher, but the problem with most keyword insertions is that they appear forced and awkward, sometimes not even making any sense. Optimize for search and social : Straightforward titles work in SEO, but might not always be applicable in social. Your headlines should be playful and attractive, but still having a direct tone that gives users a hint of what the content is about. Find the balance between optimizing for search and social, and sprinkle it with your target keywords. 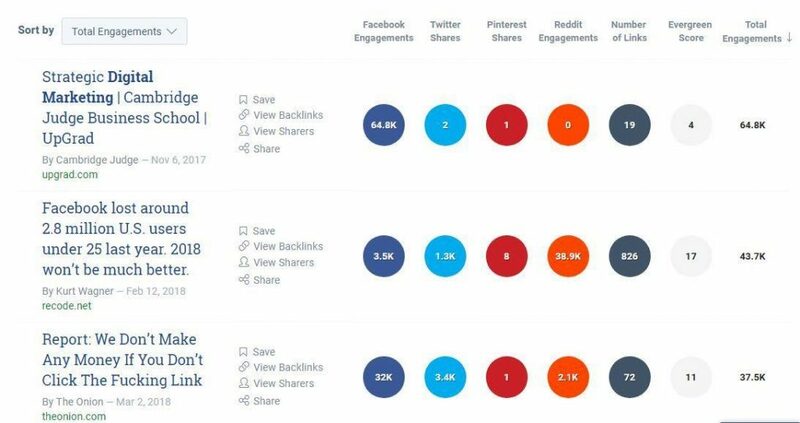 See how others are doing it and learn from them : This is why you have tools like Buzzsumo to show you content that has the highest engagement. Look at the top results, analyze how their headlines are written, and see how you can apply to your strategy. That’s always going to be a debate among SEO professionals. Some will say that short is better, as users don’t have the time to scroll a wall of text. Long-form content, on the other hand, provides you with more opportunities to insert target keywords. 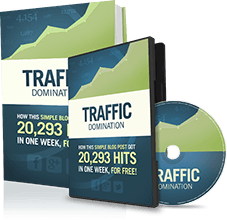 Ideally, you want a page to have at least 1,000 words of high-quality content. A post slug is the part of the URL that comes after the domain name and shows a particular section of the site. This is one of the things that users see when they do a search. Which of the two do you think is likely going to get more visits? If you guessed the second one, you’re on the right track! It’s easy to optimize post slugs, but this is often overlooked by website owners. What they end up with is a jumble of words – or sometimes, numbers and symbols – that don’t make sense and are hard to remember. Set the right permalink structure : The permalink is the full URL of any page or post of a website. It includes the domain name and the specific page. The permalink structure should match the goals of the site. Keep it short and easy to read : You want a post slug that’s easy to read and remember, but it should still describe what the post is about. Remove stop words and unnecessary articles, such as “the”, “and”, “a”, and “an” as much as possible. Use target keywords : Post slugs that contain target keywords are more likely to rank on search results and bring more qualified traffic to the page. Don’t use the same slug for different pages : The slug should be unique to the page that you want to rank. IMPORTANT: Think before publishing any page or post because changing it later is not a good practice and will require you to do a redirect. Moreover, the site might lose SEO momentum if you change or remove the permalink of the target page. 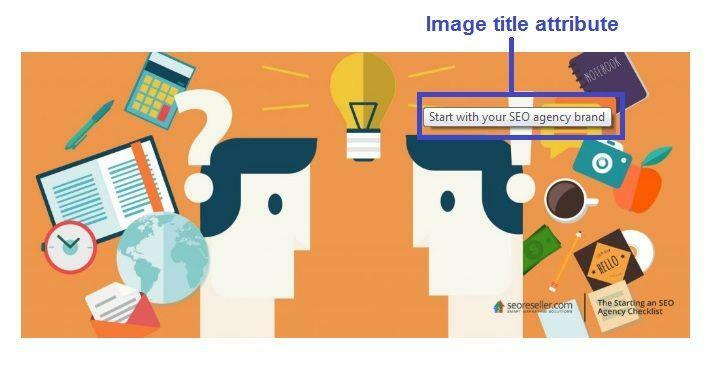 Google doesn’t have the ability to understand what the image is and how it relates to the page, but you can do this by adding alternate text or “ alt” text to images. The alt text provides a short description that appears on the image’s code, so search bots can “see” and “understand” what is being shown. Another attribute that you have to optimize is the image title. The image title doesn’t appear when the image doesn’t load or appear; it appears when a user hovers over the image. One way to determine if the site has missing alt text is through a tool called Screaming Frog. This can do a quick crawl of the site and generate a file that shows a list of all images on the site. This makes it easier to check which image doesn’t have an alt text and which needs improving. Pro-tip : When uploading images, rename the image files with relevant keywords or key phrases that you’re targeting. Apart from using proper image title attributes and alt text, it’s also important to use images that don’t have a heavy file size. Heavy images will make the website load slower and cause users to bounce from the site. Before uploading, compress the image to reduce its file size. Tools like TinyPNG.com are handy for compressing images. Websites need internal links to help users navigate from one page to another, shows information hierarchy across the site, and, most importantly, spread link equity across the pages. A common oversight that some SEO specialists make is linking haphazardly. Internal linking is easy as long as you have your keyword research. Your keyword research serves as a guide on which pages you can link to using the appropriate anchor text for a certain keyword. For example, if you want to rank for a certain keyword, make sure it’s getting as much link juice as possible from relevant pages or blogs on the website. 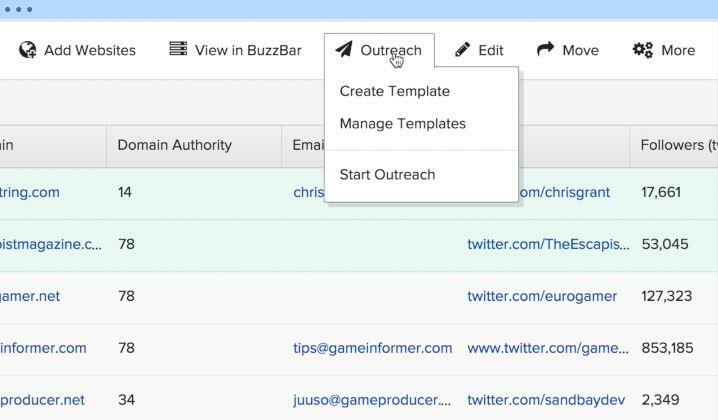 From this, you can create an internal link map for the website. Adding external links provides your visitors with another point of reference when they need to verify information on your website. There are two ways to go about external linking: one is having another domain point a link to your website (inbound) , and the other is to link from your website to another domain (outbound). When do you link with a dofollow or no-follow? Broken links happen if a page has been removed or its URL has been changed without a redirect added. When someone clicks on a broken link, a 404 page will appear to show the page they’re looking for is not available on the website. Why are broken links bad? For one, these disrupt the user experience and cause the site’s bounce rate to skyrocket. Users who can’t find the information they need tend to leave the website. Another reason is too many broken links can hurt SEO rankings, as search engines may devalue a website that has broken links. Google Search Console also provides you with Crawl Errors on the website. 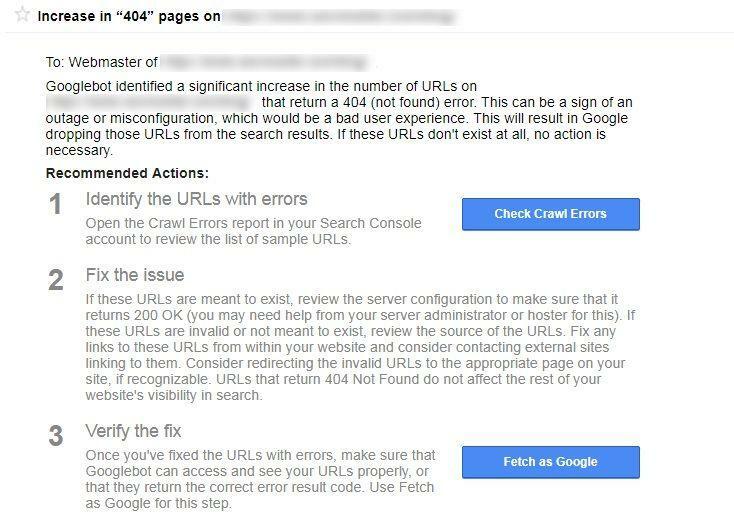 You’ll also receive a notification on your Search Console dashboard if there’s an increase of 404s on the website. Make sure the URL is formatted correctly. Add a redirect to old, broken links and direct them to relevant pages on the site. Remove the anchor text directing to a broken link if the page no longer exists. Search bots read the XML sitemap to get information about a website. The sitemap is like the blueprint of the website—it includes information on the architecture of the site, valuable metadata of the pages listed in the sitemap, and specific types of content on the pages of the website. 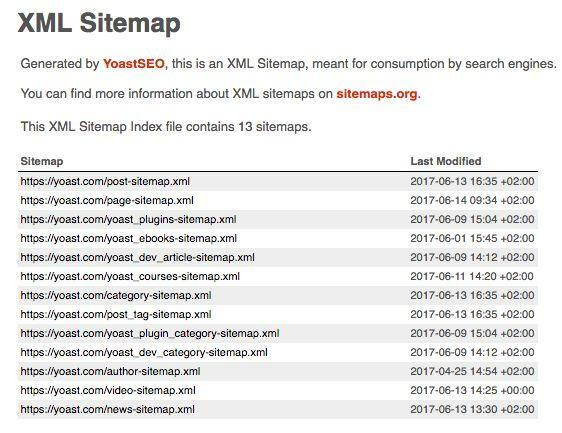 When you submit an XML sitemap, you’re giving Google the go signal to count the pages included in the sitemap to be of high-quality and worthy of indexing. It’s still critical to look through Google Search Console to make sure you don’t have crawl errors, or pages that shouldn’t be on your sitemap, being in the habit of reviewing your sitemap at least once a month is good practice. 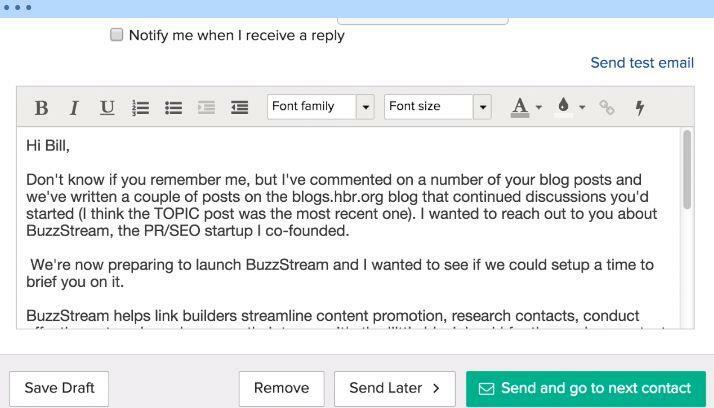 Yes, link building is not dead. In fact, a website can’t thrive without links supporting it. Like what I mentioned before, links serve as a point of reference – not just for users, but also for search engines. This is why you need to get high quality backlinks from high authority sites. Guest posting to other websites is one way to get backlinks to your site. Be sure to submit guest posts to sites with a high domain authority. I use Buzzstream to look for potential guest posting websites with high DA scores. Another effective strategy to build backlinks is creating local citations or listings. I recommend this for websites that are targeting a specific location. If there’s a piece of content you want to promote, social bookmarking and forums are effective channels to utilize that content for building links. Meta Data is composed of two parts – title and description. Some SEO professionals add Meta keywords in their Meta Data, but Google says it doesn’t consider these in ranking search results. A website’s Meta Data should entice users to click and provide them with information about the page. The Meta Data appears as a snippet of text on search results and on the HTML code of the website. See how the Meta title and description are written for the results on the top positions. These show snippets that match the intent of the user and provide enough information on what the page is about. Use your target keywords in your Meta Data—ideally, the keywords should be on the left-most side. Don’t write descriptions and titles that are too long, as this will cause the Meta Data to appear truncated. Each title and description should be unique to the page. Write compelling copies for the title and description to maximize click-through. The title and description should provide information that matches the search queries of users. Optimizing tags is one way of improving how a website communicates with search engines. These tags are not visible to users, but they are to search engines. When search engines crawl a site and find these tags, they get information on what the website is about. Title tag : Each page should have a unique title tag, with only 50-60 characters (keywords included). What you put in the title tag is what will appear on search results. 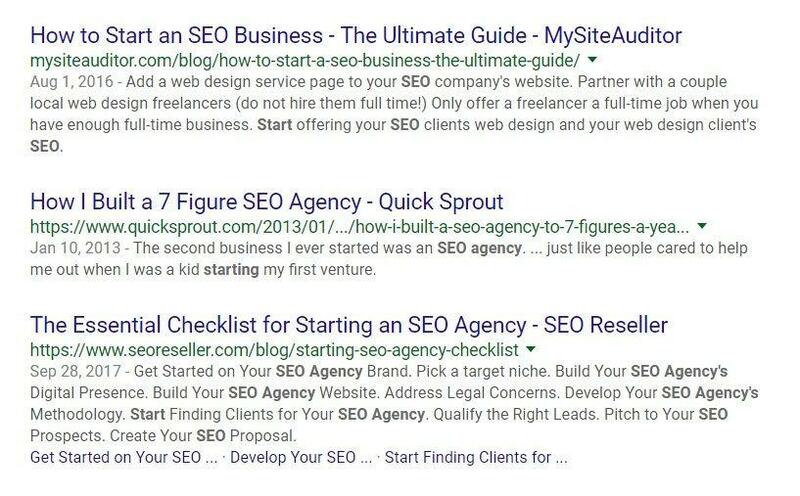 While it’s important to put in keywords, it’s better to make the title tag appear natural. 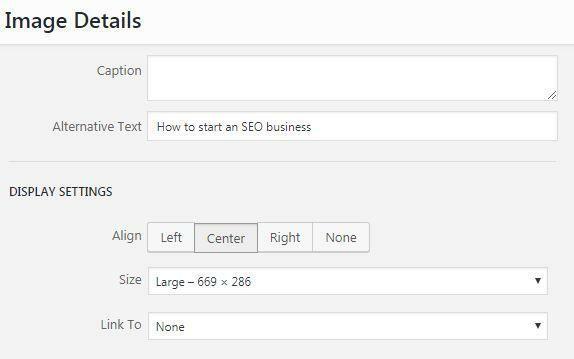 Header tags : Depending on how you structure your page, you can have H1, H2, H3, H4 tags, and so on. The idea about using header tags is to organize the content of the page. H1 tags usually serve as the title of the body content, while the subsequent header tags are the subheadings. Use your main keywords on H1 tag and embellish the subsequent tags with secondary keywords. Schema tags : Optimizing the site’s schema tags improves a search engine’s ability to understand what the website is about and improves how the website is displayed on search results. Nofollow link tags : Nofollow tags are important if you have backlinks that you don’t want search engines to count. Use this tag if you have links going to websites with a low domain authority. Anchor text tags : When linking, pay attention to the anchor text. Your anchor text should provide context to where you’re linking; otherwise, search engines won’t see the connection and relevance of the link. Canonical tags : These are used if the website has duplicate pages. You add this tag to help search engines identify which URL to consider as the master page among the duplicates. Do a deep dive of the website to ensure its tags are optimized appropriately. Use Yoast for an way of adding tags on the website. Here’s the deal with search—the longer it takes for a website to load, the more likely users will abandon the site. According to John Mueller in 2016, the ideal page speed is below three seconds, to cater to both search engines and user experience. So, how do you improve a website’s page speed? First things first, do a quick sweep of the website. Are there too many images on the site? Does it use Flash content? Which plugins are available? Let’s start with images. Experts say images make up more than half of a website’s weight. For better optimization, use images in JPEG or PNG format. Make it also a habit to compress images before uploading. Reduce the number of plugins on the website. If the plugin requires complex operations, requires the use of external APIs, and loads many content assets or scripts, consider removing this from the site. Also – see our previous article on Page Speed. With Google’s mobile-first indexing, neglecting mobile optimization is out of the question. If the site is already mobile optimized, good job! If not, you’ll have to start working on keeping it on par with sites that are mobile optimized. Minimize intrusive ads that hinder the experience of mobile users. If you want to have ads, it’s best to keep them at the bottom of the page. Make sure pop-up software is Mobile Friendly. No Flash. Code instead of using images, as this helps in improving page speed. Your content should be direct to the point but catchy and memorable. The site should be responsive to all types of screens and orientations. Text should be clear and legible—you don’t want users to zoom in on the page when they’re browsing. Users are becoming savvier with how they browse and share information. With privacy becoming a main concern of many online users, maintaining a secure site is key.It’s important to check if the site has a security certification. If there’s none, you have to get this certificate from a certificate authority, which will verify the ownership of the web address. Domain Validation SSL Certificate : This certificate entails the website has been registered by a person with admin access. Organization Validation SSL Certificate : This certificate validates the ownership of the domain and provides information, such as the website owner’s name, city, state, and country. This is usually used for commercial websites. Extended Validation SSL Certificate : This certificate displays the verified owner of the website on browser address bars. This is ideal for high profile websites that are prone to phishing attacks and handle online financial transactions, such as banks. Make sure your HTTPS site isn’t blocked from crawlers in your robots.txt files. Avoid using the noindex meta tag to ensure search engines are able to index your pages. Duplicate content has always been a thorn on the side of digital marketers and website owners. But why do you need to be mindful of duplicate content? For one, search engines will have trouble distinguishing which version to include or exclude in their indexing. This, in turn, makes it difficult to determine which version to rank on search results. 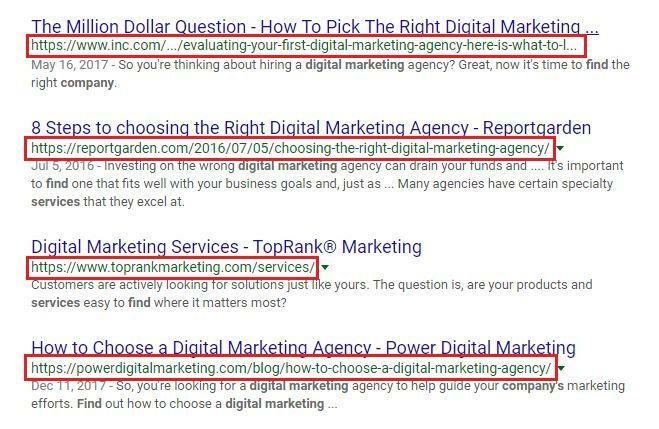 Second, duplicate content confuses users, which hinders their search experience. Most importantly, link equity becomes diluted among all duplicates, which impact the visibility of the original version. Use the rel=”canonical” tag to specify which URL serves as a copy of the original. Don’t use the same content over and over across your pages – even in your Meta Data. If you have pages with similar content, expand the content of each page, or consolidate the information into one page. The more structure a website, the easier it is for users to navigate and get the information they need. If done right, pagination can bring about an amazing experience for users. This is why most websites implement pagination to provide users with additional navigation when browsing single sections of a page with long-form content. When doing pagination, one of the important elements is a visible navigation. Placement is key when it comes to this aspect—do you only add pagination at top or the bottom of the page? If the pages are long and require continuous scrolling, it’s best to add pagination at the top and bottom. As the purpose of pagination is to make it easier for users to navigate the site, it needs to show where they are and where they can go next. Users should easily identify the current page, so they know of where they are on the site. This also includes adding the Previous and Next links separated from the page numbers. Another good practice for pagination is adding a “Go to Page” option. This enables users to jump to their desired page number instead of clicking on the Next link or the preceding or succeeding page numbers. This gives users an idea of how much information they can get from the site. This also allows them to jump to the first and last pages without clicking through the other pages. A website with a bounce rate going through the roof is never good news. A high bounce rate can be a source of why a site isn’t ranking on search results. When the number of users bouncing from the site is high, Google discredits the website and delegates a low score that affects rankings. So, how do you reduce a website’s bounce rate? Increased page speed : Use Google’s Test My Site to do a quick mobile speed test and see which areas on the site need improving. Improved readability : This means no walls of text and better content formatting. Use subheadings or bullet points to make content scannable and digestible. Add imagery and screenshots that support information on the page. Compelling Call to Action : Be clear on what you want users to do on the site – whether to buy, subscribe, or contact the business. Entice users to click on the CTA by giving a sense of urgency or showing the value of the service. Fresh content : Always provide fresh content on the website. By publishing high-quality, high-value content, you’re providing momentum for the website and keeping users updated with new information.Understanding what is an ideal bounce rate is the first step into identifying how to reduce users leaving your site, and keeping visitors on your site, engaged and ready to take action. English may be the universal language, but it’s not as universal as you think. There’s a difference between the American and British English in terms of spelling, word usage, and expressions.Why is it important to focus on language appropriation in SEO? Simple—you want users to be able to relate to the website. Using the appropriate language is the first step.One of the tools I recommend using is Grammarly. This checks for grammatical and spelling errors, proper punctuation, word choice, and style when writing. Grammarly also allows you to choose your language preference – American English, British English, Canadian English, and Australian English. I’ve discussed a couple of HTML tags that you need to optimize at tip #12 of this post. On this section, I’m going to dive deeper into HTML5 sections that you need to pay attention to. The latest version of HTML has semantic elements that you can optimize to provide search engines more context on what a page is about. <article> : This tag is used to specify new blog entries in a page. You can use this for content that changes from time to time, such as blog posts, forum posts, comments, or news stories. With this tag, you’re signalling to search engines to focus on the text inside the article more than the other elements of the site. <aside> : This tag focuses on secondary content of the page. This tells search engine that the content with this tag is important, but not as much as the other content on the page. For instance, when you use this tag inside the <article> tag, search engines will see it and note its relevance to the article, but will not focus much on it. When using this tag, the aside content should have contextual relevance to the surrounding content. <nav> : This tag tells search engines that all the links enclosed in the tag are important for moving around on the website, which is why you should use this for major navigation links. <section> : This tag allows you to break down content into different sections to make it easier for users to scan and find the information they need. Each section tag should contain a header tag to help search engines identify what that specific section is about and understand how it relates to the other content on the page. <footer> : This tag specifies content that is placed at the bottom or footer section of a website. It contains copyright information, contact information, authorship information, sitemap, and links to other related pages. It also tells search engines the content enclosed in the tag is not as important as the content on the top section of the page. By using the appropriate HTML5 sections, you’re hitting two birds with one stone—that is, making it easier for search engines to sort through the content of the website and providing users with a smooth user experience. Fresh content is one of the foundations of Increasing Search Engine Rankings, but what about existing content on the site? Do you leave those out of your strategy? While it’s important to provide as many pieces of fresh, relevant content as possible, you can still fuel existing content on the site to improve rankings. One way is by updating the cornerstone pieces and those that generate a lot of traffic. This shows the site has new information to offer and that you’re maintaining the website regularly. There are different ways to display updated content on the website. 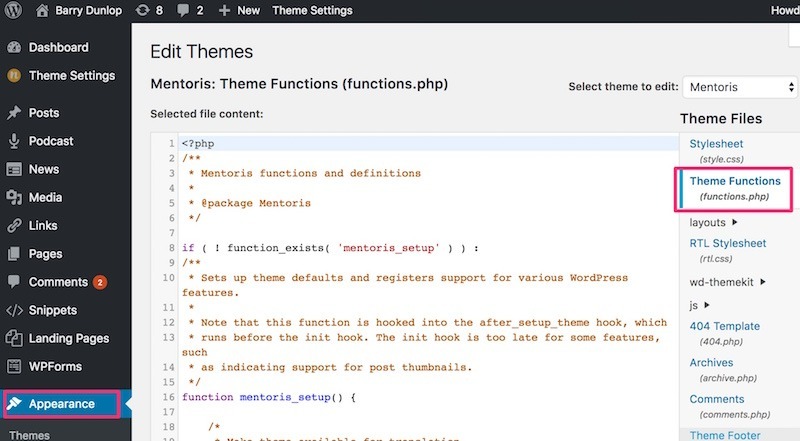 If you’re not one for coding, you can use the Last Modified Timestamp plugin on WordPress. This plugin allows you to generate a short-code that you can add to a post, but that’s the downside—you have to add this to every page you want to update. Increasing Search Engine Rankings is not rocket science, but it’s not as easy as ABC either. What I learned in my years of working with agencies, providing wholesale SEO and building websites is you need to experiment with different strategies. While there’s no set formula on how to increase Search Engine Rankings, the best practices above are a good place to start!